Calvin and Family Group was established in 2005 and has 12 years of experience in the development and construction industry. Initially specialising in residential developments, the Group later branched out into commercial, retail, industrial development and civils, and recently more into low cost housing and schools. Calvin and Family Group has further diversified into other sectors such as security services, project management, printing and marketing. Overall one can see that with the wealth of experience and passion for the industries that the Group is involved in, they not only get things but take pride in what they do. Calvin and Family Properties and Development is a 100% black owned entity that was born out of the idea to close the gap of the black people participating in the infrastructure development industry. 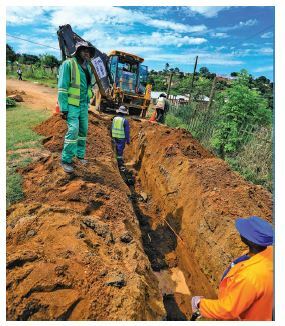 The aim is to make an active difference in South Africa's infrastructure, so that every South African will benefit. The company was legally registered in 2009 and is committed to dynamic transformation in the construction and project management sector. Calvin and Family Construction Division has gained a very powerful reputation for delivering superb projects in infrastructure, buildings, civil and roads across southern Africa. The Construction division offers its service to both public and private sector clients. Calvin and Family Buildings provides innovative solutions, reliable service and an unwavering commitment to delivery. The Building division is able to offer clients expertise across an almost unlimited scope of construction projects. With a selection of prestigious contracts within its growing portfolio and underscored by a solid performance record, it has cemented its position within the building sector. Calvin and Family Engineering is a process and power generation design and project execution company that carries out engineering, procurement and construction (EPC). Calvin and Family Engineering believes in partnering with clients to turn ideas into sustainable projects. It offers flexibility in its approach, competitive pricing and fit-for-purpose administrative systems for the implementation of projects. Calvin and Family Engineering Energy, the power generation division, offers EPC turnkey solutions to the market in respect of renewable and specialist power generation. These services are based on extensive experience, coupled with the skills of specialist engineering and project management staff. The company's focus is on the successful execution of process-based and renewable energy projects. Urban Infrastructure Consulting was founded in 2009 as a fully South African owned and empowered SMME. The consulting company specialises in structural engineering and civil engineering, rendering services in planning, design supervision, and project management. Calvin and Family Plant Hire is a 100% black owned company that offers excavators, 10m tipper trucks, graders, bulldozers, water carts, bobcats, scaffolding and small tools. The company continually strives to improve the quality of its operating machinery purchasing further plant and machinery thereby maintaining its service levels. SA Precast Cement provides: kerbing, bridge barriers, bridge beams, retaining walls, rigging and crane hire. Unique Communications was incorporated in 2009 in Durban. The inspiration behind its beginnings stems from the varying experience brought together by the founding members. Driven by the vision to create innovative campaigns in the advertising, branding and communications sector, the company has grown significantly. Black Pride Media in partnership with PSP is passionate about telling people's stories and capturing unforgettable moments. Services include: commercial, photography, TV production, digital media, feature films, action features, TV documentaries, magazine, reality, documentary series, short formats, and live broadcasts. 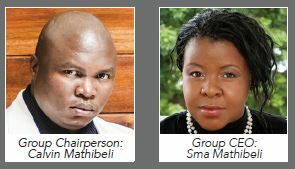 Calvin and Family Security Services (PTY) Ltd was founded by Mr. Calvin Mathibeli in 2012. The management philosophy is to develop lasting customer relationship and this will be achieved by ensuring that the company consistently meets agreed customer requirements with regards to specifications, safety, time and cost. Wear It Manufacturing (Pty) Ltd manufactures and supplies bullet proof vest and work wear safety products. The company prides itself on its engineering ability to combine performance, comfort and durability while meeting the highest standards of protection and application. Unique Lifestyle Café is Durban's posh dining restaurant situated at The Square in Umhlanga Rocks Drive. This is no ordinary eatery. It is an Afritalian Restaurant, a mixture of Italian and African's cuisine. It's ideal for late night dining concepts, offering incredible food and a relaxed, upmarket vibe that could be enjoyed by families and young adults alike. To be the service provider of choice both in Government and Corporate. To form long-term relationships with our clients in order to deliver a service of superior standards in the industry and be irreplaceable by our clients.